World Wrestling Entertainment (WWE) was once signified as the “Be All, End All” of professional wrestling. By now, that statement has been detracted with talent like The Young Bucks, Colt Cabana and Kenny Omega, all of whom have achieved financial efficiency and without any WWE stints (or pushes in Cabana’s case) to boot. 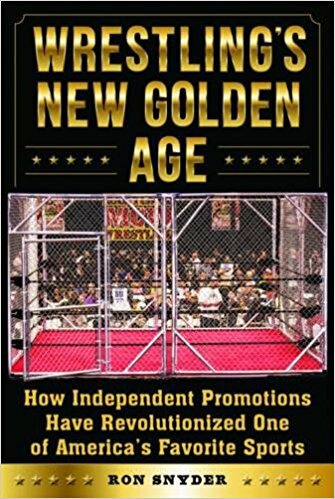 Ron Snyder’s “Wrestling’s New Golden Age: How Independent Promotions Have Revolutionized One Of America’s Favorite Sports,” released by Sports Publishing, succeeds in its goal to inform and explore just how independent wrestling came to be from its eerie territorial beginnings. 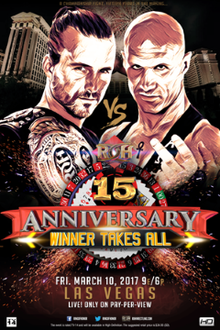 – The opening video focused on the Ring Of Honor Decade Of Excellence Tournament and its “eight pioneers” that fought it out to lead down to the two that were left – Jay Briscoe and Christopher Daniels. The main story was that they stood in each other’s way of a World Title shot. This was a great video intro, actually went the way of those classic “NBA On NBC” intros that Marv Albert used to do. You tell us that doesn’t work. BTB I was put together by Al Isaacs, Remy Arteaga and Barbi Bistrowitz of “Scoopswrestling.com,” as a way to showcase the best independent wrestlers as the card represented 12 different promotions. Talent like “Lightning” Mike Quackenbush, Lou Marconi, Joey Matthews, Christian York and Nick Gage appeared and made names for themselves. History repeated itself this year on Jun. 11 in Old Forge, PA., as Powerbomb.TV – a streaming service that provides 267 hours of content from 41 promotions as of press time – hosted “Break The Barrier 2017” in a similar supercard that included the likes of Colt Cabana, John Silver, Dasher Hatfield, Ophidian and Desean Pratt. With Bryce Remsburg back and forth between commentary, pre-show duties and officiating, the broadcast had a CHIKARA-esque feel with a logical edginess. Without much further ado, we’ll assess just how “Broken” this “Barrier” was nowadays. Break The Barrier was a professional wrestling supercard held at Viking Hall, better known as the ECW Arena, in Philadelphia, Pennsylvania on May 15, 1999. The event was organized by the founders of Scoopswrestling.com, Al Isaacs, Remy Arteaga and Barbi Bistrowitz, and brought together some of the top independent wrestlers from around the country. On Sunday June 11th, Powerbomb.TV will host “Break the Barrier 2017” – an independent wrestling festival – starting at 3:00PM at the GSW Arena in Old Forge, PA (conveniently located between Philadelphia and New York City). The event will also stream live through Powerbomb.TV. Tickets are on sale now for $15 and if you’re a Powerbomb.TV Subscriber, you can reserve your ticket for free! Confirmed Promotions participating in “Break the Barrier 2017” include C*4 Wrestling in Canada, Cara Lucha Promociones in Mexico, IWRG in Mexico, Georgia Premier Wrestling, Deep South Championship Wrestling, Grand Slam Wrestling, Tier 1 Wrestling and Top Rope Promotions. Plus: Chuck Taylor, Fly Warrior, Jigsaw and more to be announced soon! Powerbomb.tv is an independent wrestling video streaming network available on Web and Mobile Devices featuring over 30 promotions and 165 events. The company plans to launch on Roku and Apple TV for their Grand Opening event on Sunday, June 11th. 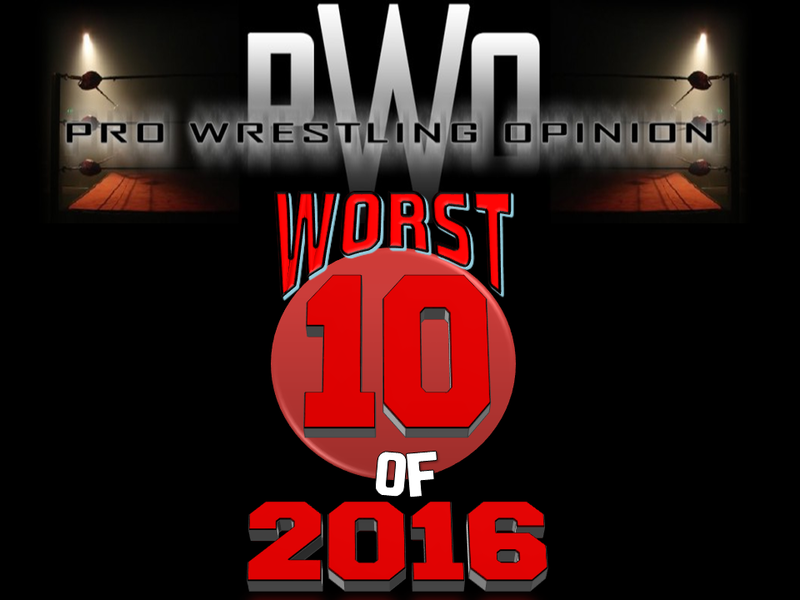 2016 was possibly professional wrestling’s most newsworthy year. Whether it was “Broken” Matt Hardy, Chris Jericho’s transformation into a walking meme, Goldberg’s unexpected return or the Cruiserweight Classic, everywhere you looked, there was something to talk about. For all those moments however, came some head shakers. With the unenviable task to cover every single 2016 episode of Raw, SmackDown (even before it was “Live”), NXT, Impact Wrestling and Pay-Per-View/Live Specials (all 29), we’ve seen things that cannot be forgotten. We’re here to bring them to light. Ring Of Honor’s Final Battle signifies both the end and new beginnings. While we initially saw this as counterproductive to host an annual “payoff”-themed Pay-Per-View typically saved for December’s last week on the month’s second day, you couldn’t knock this card. 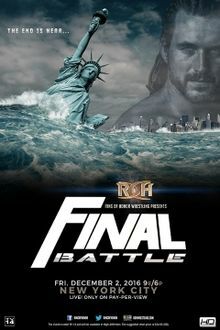 It’s funny, since ROH didn’t hammer home the hype until the final two weeks of television, but alas, it came together enough for the in-ring action and events to bring it full circle. We had Jushin “Thunder” Liger, Cody, hell, even Broken Matt Hardy made a cameo appearance. A fitting main event too, as we’d see Kyle O’Reilly get his last shot (seemingly) against ROH World Champion Adam Cole.